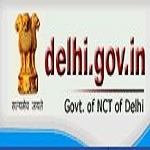 Delhi CET 2019 Admit Card will be released on May 2019. Candidates can get the admit card only through online mode. Delhi CET Hall Ticket will be issued by the Department of Training and Technical Education, Government of National Capital Territory of Delhi. CET Delhi is a state level examination organized for admission to the various diploma courses in the field of engineering & non-engineering courses. Check here to get detailed information about CET Delhi Admit Card 2019. Candidates will be able to download their CET Delhi 2019 Admit Card from the website through online mode only. The admit card will be released on May 2019. There is no other mode to get the admit card. Candidates should get the admit card till the admission process over. No duplicate CET Delhi Hall Ticket is provided by the authority after the examination. Candidates can download their Delhi CET Admit Card 2019 in duplicate with the instructions. Candidates should check all the details given in the admit card properly. In case, any problem occurs, then candidates can contact to the officials. Candidates must bring a valid admit card in the examination hall to appear in the examination. The admit card must be produced for verification in the examination hall. Delhi Polytechnic Answer Key 2019 will be released after the completion of the polytechnic entrance exam. Candidates can check the result through online mode. Delhi CET 2019 Cut Off will be released along with the result. Candidates can check the cut off marks through online mode. Students have to secure more marks than the cut off marks to be eligible for admission. The admit card will be issued before one week of the examination. Candidates will be able to get their admit card through online mode from the website. The CET Delhi Admit Card 2019 will be issued on 3rd week of May 2019. The examination will be organized on 4th week of May 2019 through offline mode. After a few weeks of the examination, the result will be announced by the exam conducting authority. The result will be declared on 2nd week of June 2019. The new page will be opened on the computer screen. Fill your “Application Number”, “Password” & “Security Pin”. Now, click on the “Download Admit Card” link. The admit card will be appeared on the computer screen. Take a print copy of the admit card for future procedure. Reach the exam center before 45 minutes from the commencement of the examination. On the day of the exam, the examiner will check the admit card of the candidate & get their signature on the admit card, attendance sheet & thumb impression on the attendance sheet. It is compulsory to bring a valid CET Delhi Admit Card 2019 in the examination center. No candidates will be allowed to enter in the examination hall without admit card. Delhi CET Exam will be conducted only in Delhi. Candidates only allowed to enter in the exam center along with admit card & black ball point pen. Candidates will not be allowed to leave the examination hall till the end of the examination. Mobile Phones, Calculator, Digital Diary, any other communication devices, etc will not be permitted inside the exam center. If you have any other query about CET Delhi 2019 Admit Card, you can ask your query below in the comment box. sir i lost my admit card i want to see my result what should i do to check my result plz help me ? I did not found my application number.o I did not get the admit card .what is solution. Admit card is released. The link is given in our article. It is released for some groups. Through online medium .dates are declared but link iz not provided yet..
You can get the admit card through candidate login. sir i am forget password. sir how to download admitcaad. Sir, how to download admit card? sir pls advise when we get admit card ? sir Please advise when we get admitt card. i had apply for diploma after 10th . Admit card link is given in our article. Which time show on admit card sr or 17th may??? What is the confirmation date of Sir Admit Card? when will we get our admit card , is it dispatched through courier,since we do not recd the same yet. how long we have to wait. pls. advise. Admit card will be made online. Sir how to download admit card.